Welcome to Upledger Institute New Zealand, a satellite of the Upledger Institute International based in Florida USA and a member of the International Alliance of Healthcare Educators. The Upledger Institute International (UII) is recognised worldwide for its comprehensive training programmes in the light-touch modalities of CranioSacral Therapy (CST) and SomatoEmotional Release (SER). UII offers these training courses in New Zealand and worldwide. Check out the COURSES page for a list of courses in New Zealand and online registration. 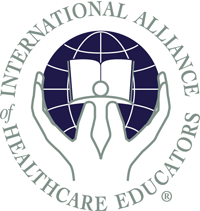 To find details on international courses please visit the International Alliance of Healthcare Educators website.